General information: Beer from the Bath Ales brewery. Small corner boozer which was handy for us as we needed a sit down and a drink. Wouldn't want to visit here if it was busy-we are not into that sort of night or day out. Certainly good for a pub crawl for a quick one if in the area. Small one room pub that has no real character, however I found the place quite charming and genuinely friendly. The Milk Stout from The Bristol Brewing Company was deeply satisfying and the Hophead from Dark Star was indeed very fresh and hoppy, no complaints on beer quality! All beers on a Monday are £2.50, an absolute bargain in a city that can be hard on the old wallet. I recommend this pub, will visit again if I am down the west country. Reasonable enough place though has a bit of a feel of a trying to be trendy sities cafe rather than a traditional pub (a la Warhol coolages on the wall). 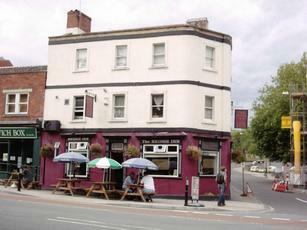 Smallish place with decent enough ale with tables outside if you like to watch heavy traffic pass by. Small pub with great choice of beer. Mostly quiet except on a friday evening when almost impossible to get through the door. Not sure what the previous reviewer is on about, any shouty types would stand out like a sore thumb and not be tolerated by the polish staff. I've certainly never been offered a jelly baby. Yes a great little pub, usually has four Ales on usaly one from Bath Ales, perhaps not for the Dark Beer connoiseur as much as those prefer their Beer Golden. One word of warning look out for a bloke that laughs loudly, screams when he talks, and looks like Dr Who.